So my 8 year old only had one request for Christmas...a goat. After a long, as I mean long, search I found her two! 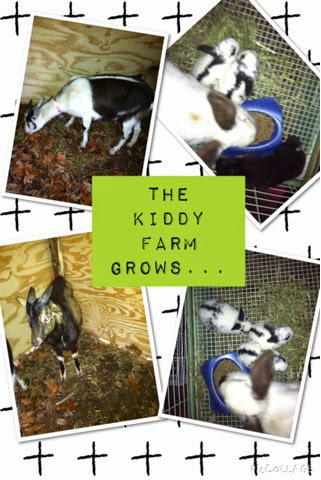 We are now proud owners of Nanny and Billy, two Pygmy goats. She does not know she has them yet. They were delivered to my house last night while she was at her dads house. The kids will be on their way home today. I think I will make her a scavenger hunt to find them. 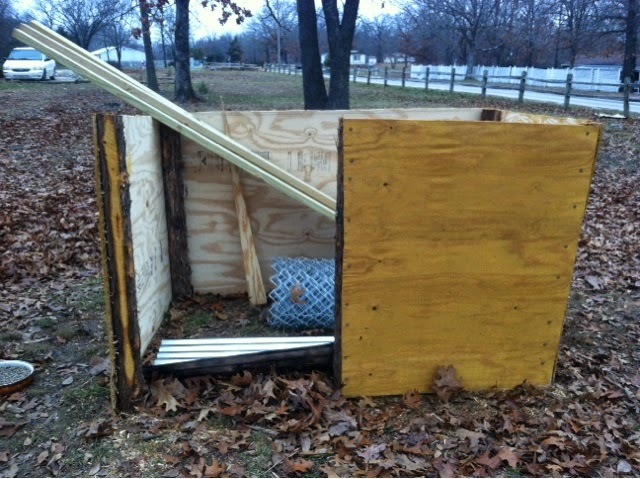 She had been helping build the shelter for them but I told her it was for some new chickens. She will be completely surprised!! I think I will make a scavenger hunt for her to find them. They are locked up in the shelter and she won't be able to see them when she comes home. Christmas is about life that was given to us so what better way than give life for er to comfort and care for. So much better than an expensive toy that will fall to the bottom of the toy box or get broke in a couple days. Something she will get to keep learning from and growing into a responsible adult! Not to mention mom is aweful fond of them as well.